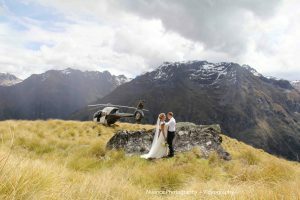 Queenstown heli weddings are the best option for the discerning bride and groom that want something extra for there special wedding. 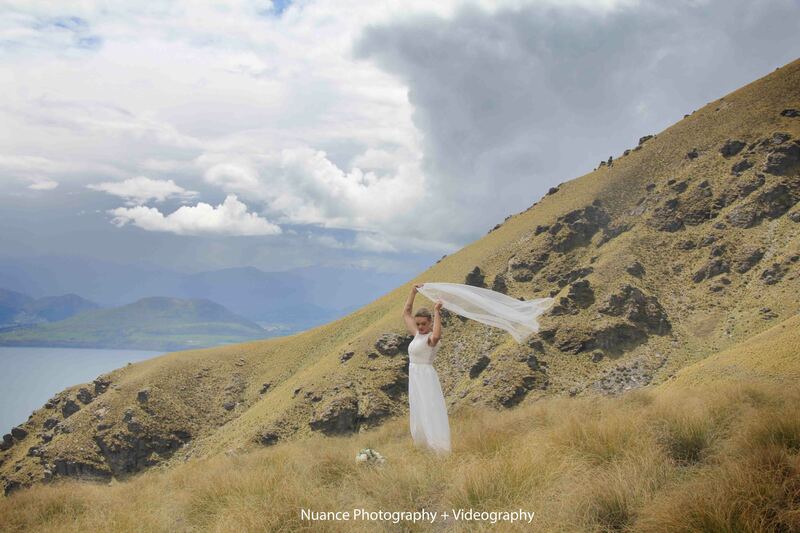 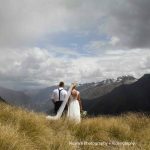 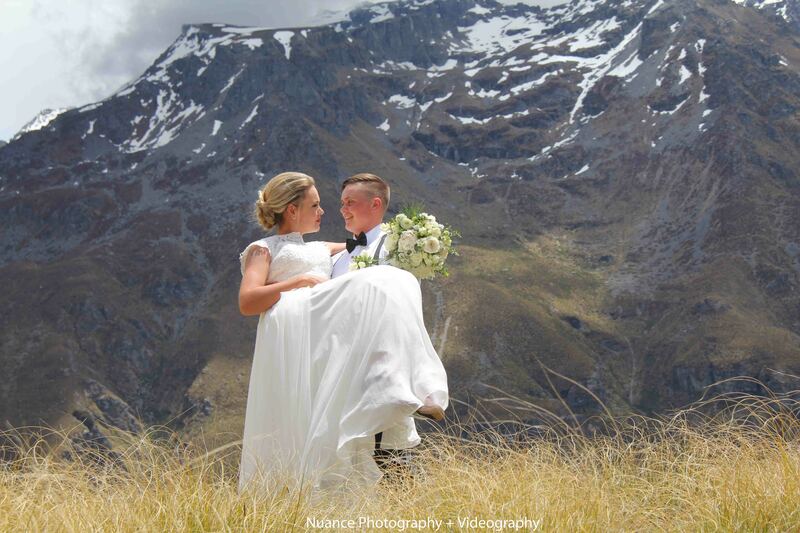 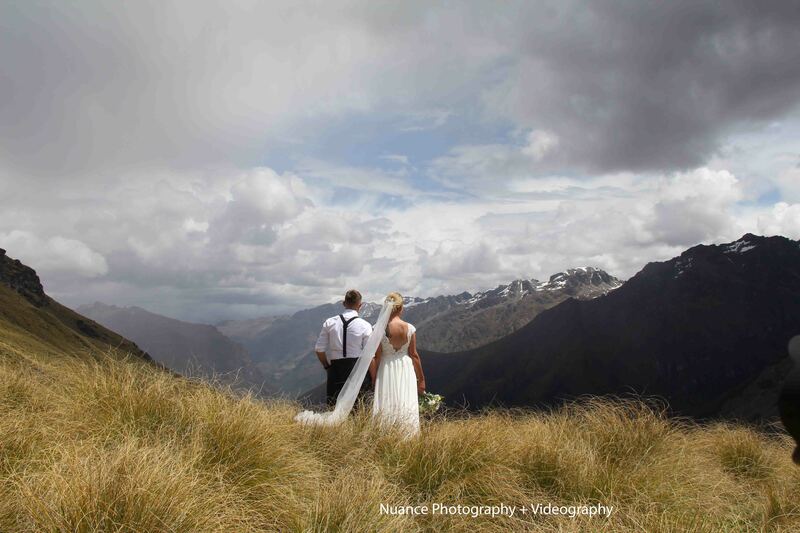 Not only do you get to exchange vows on the highest peaks you also get to boast the most amazing scenic wedding photos. 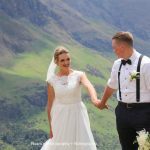 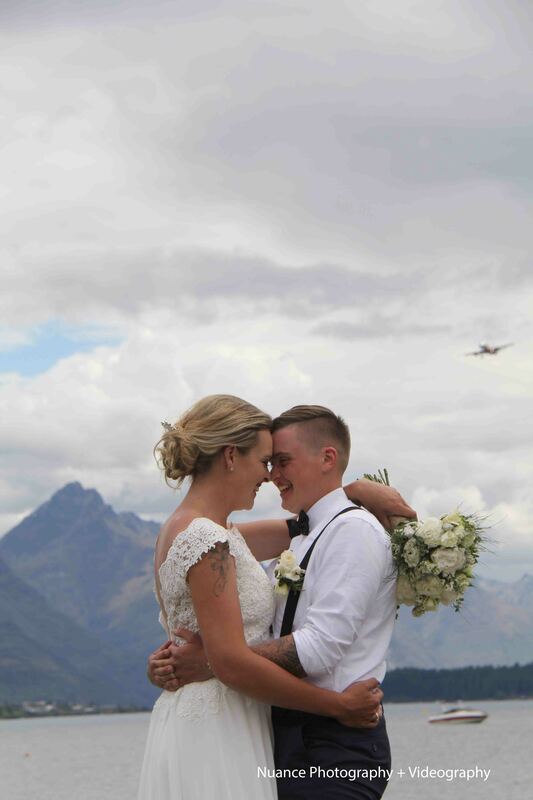 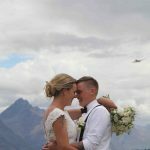 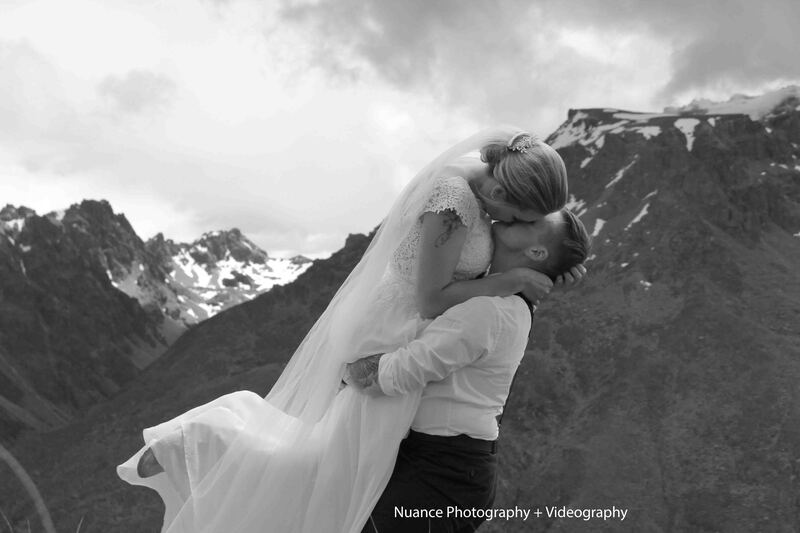 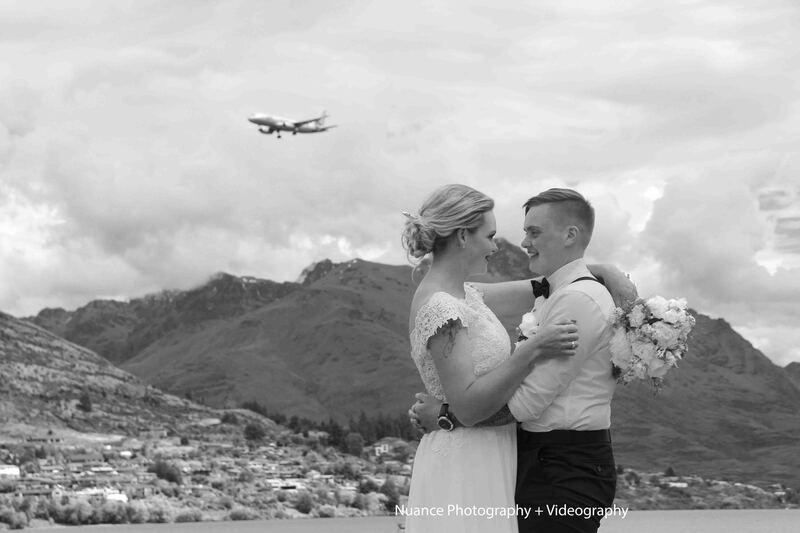 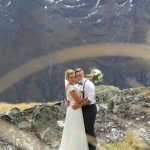 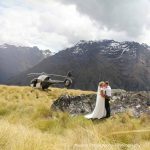 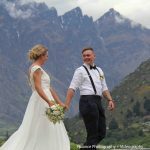 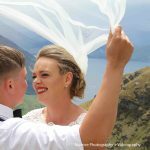 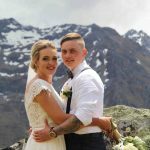 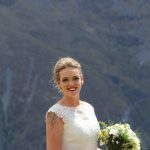 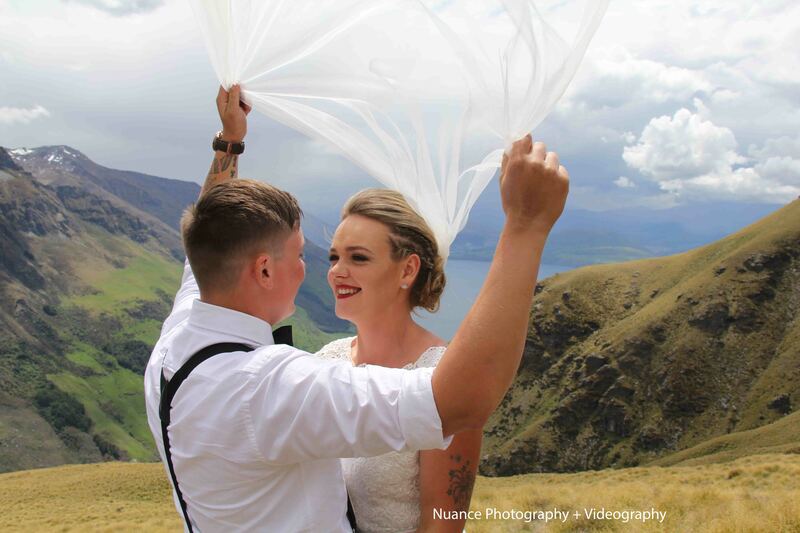 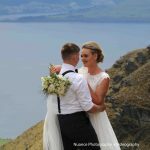 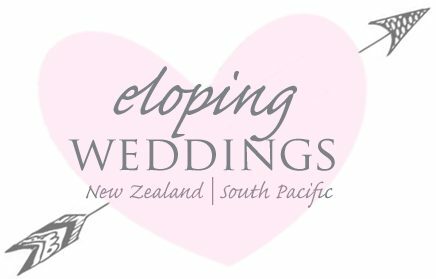 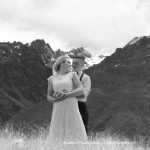 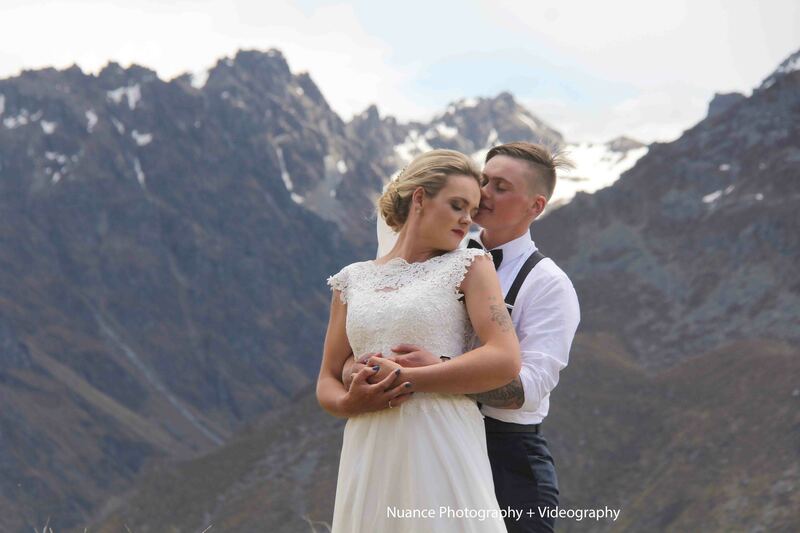 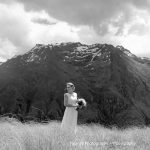 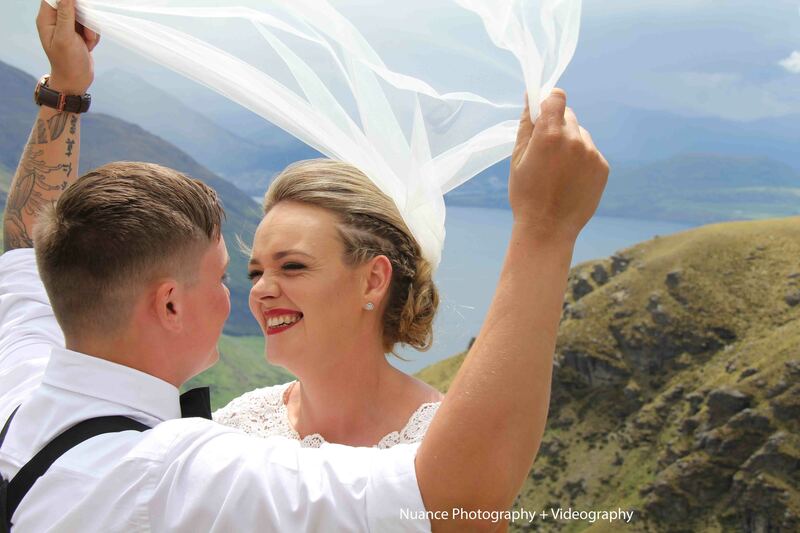 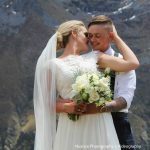 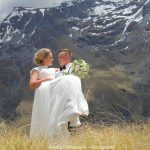 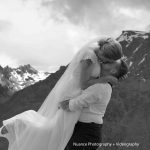 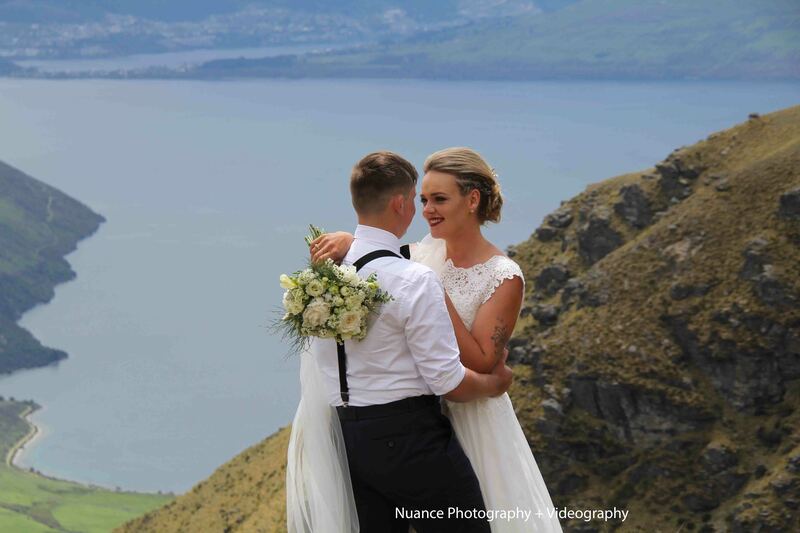 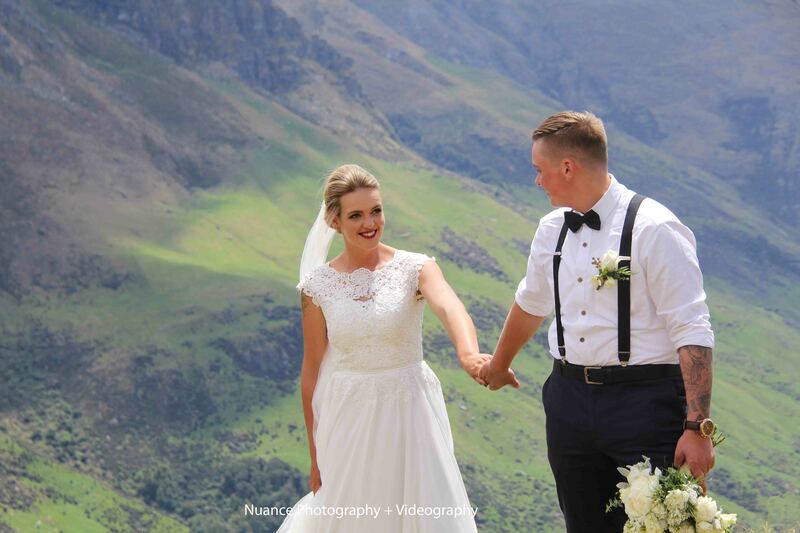 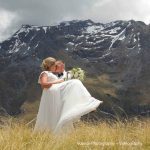 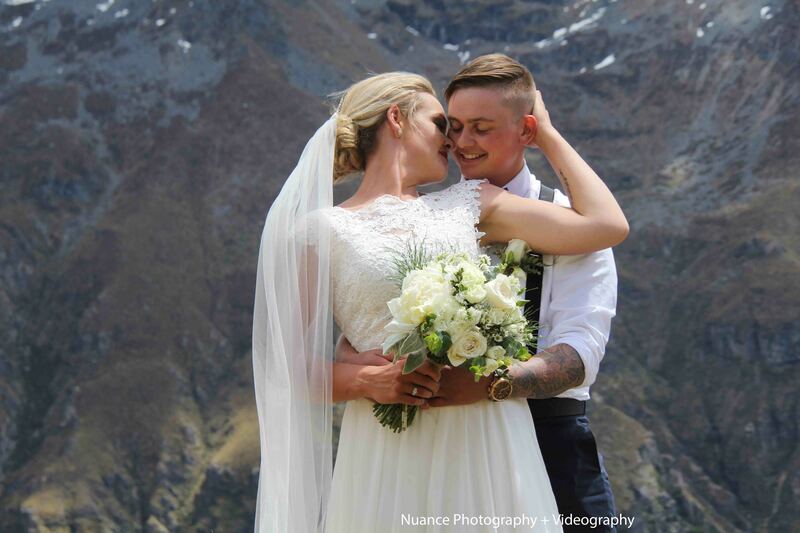 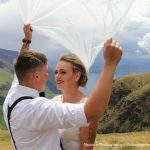 At Eloping Weddings New Zealand, we love to put together a fantastic Queenstown heli wedding package that’s just perfect for you. 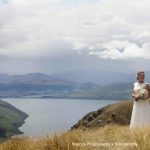 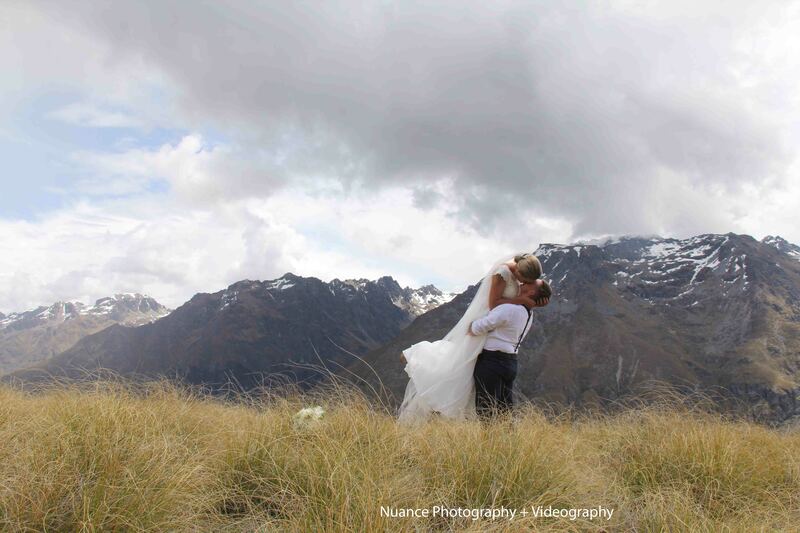 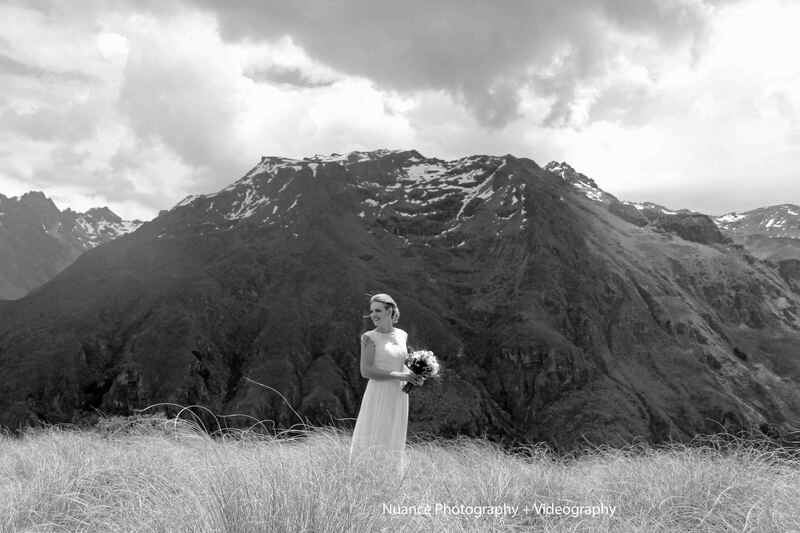 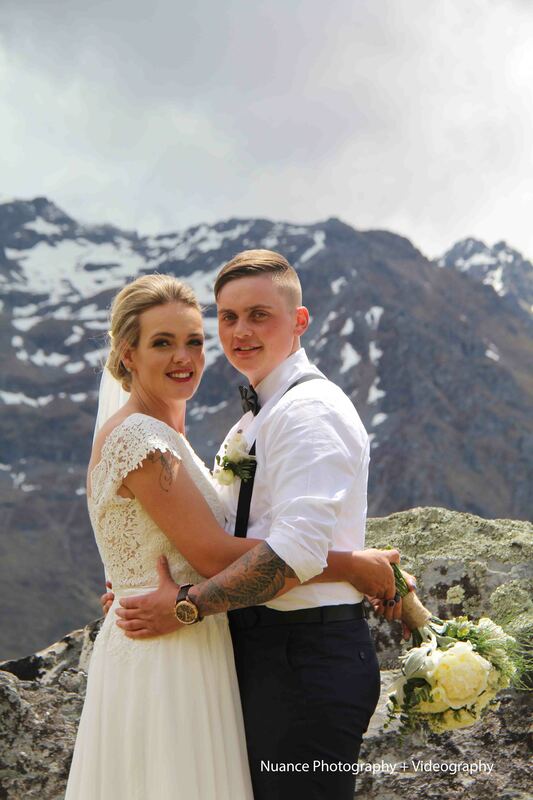 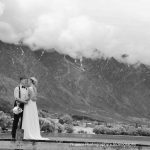 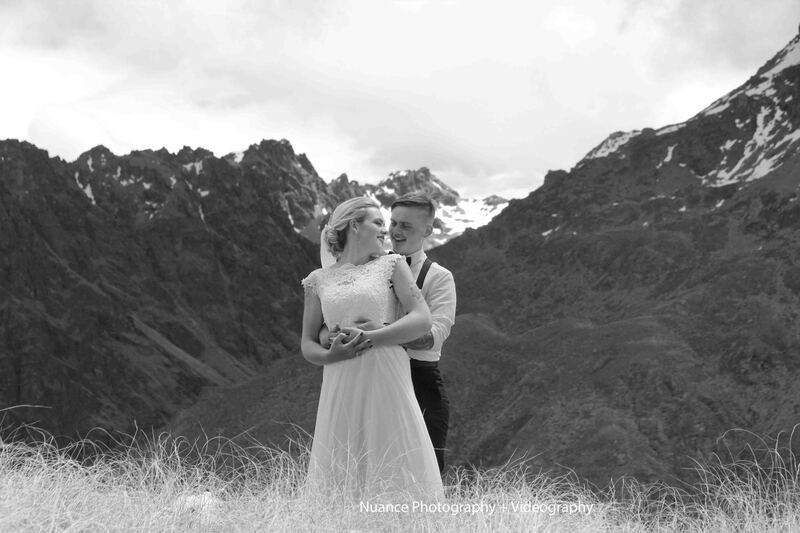 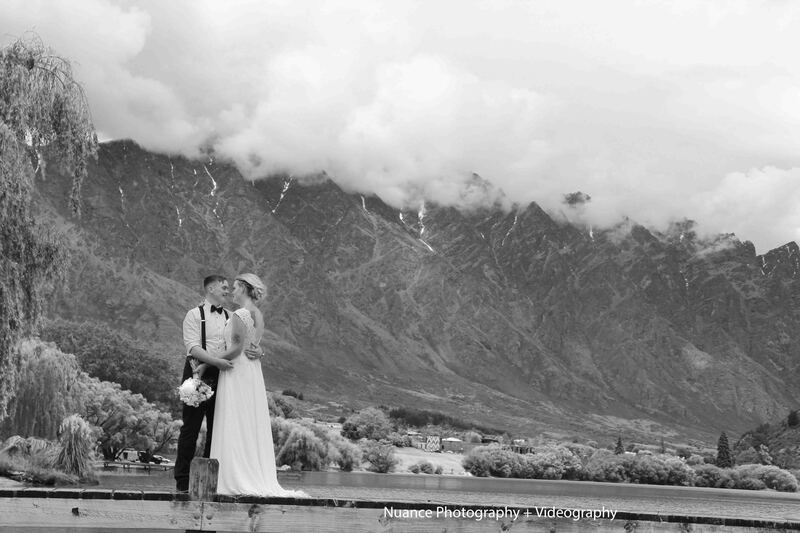 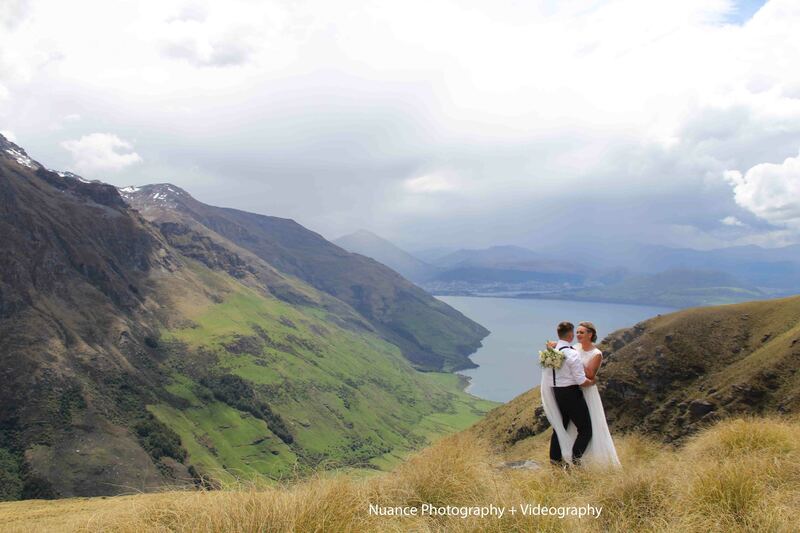 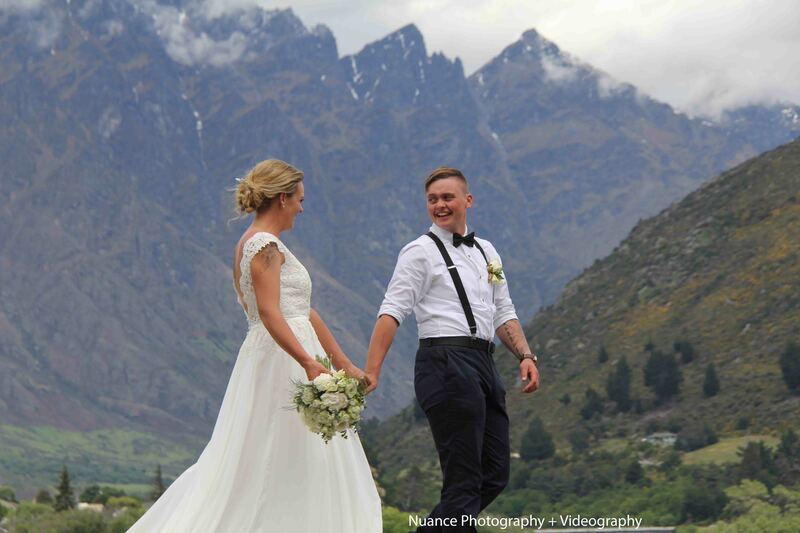 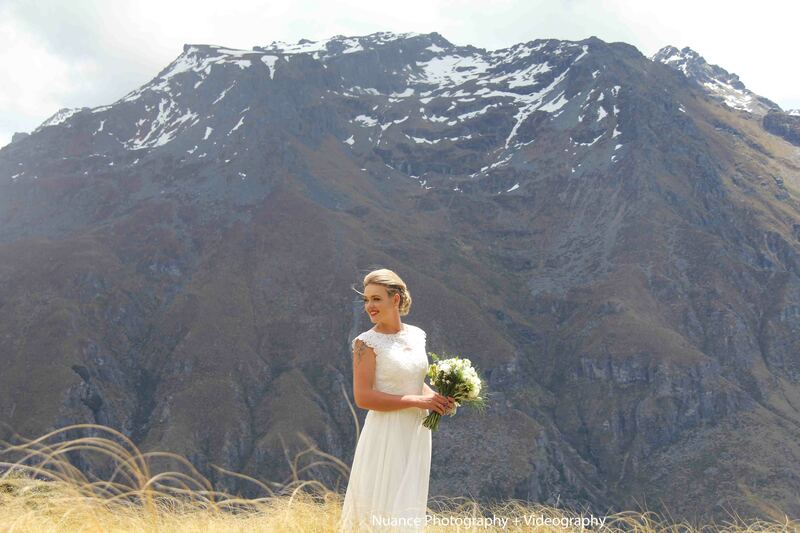 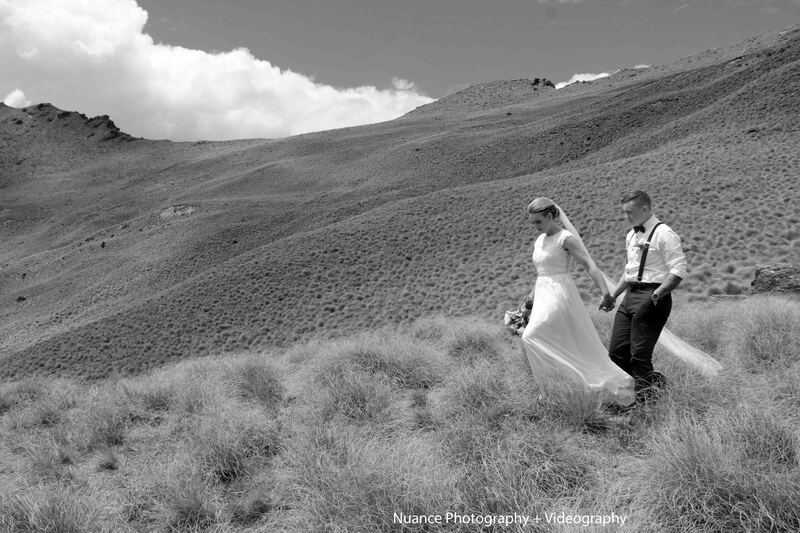 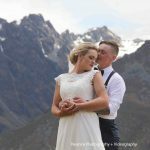 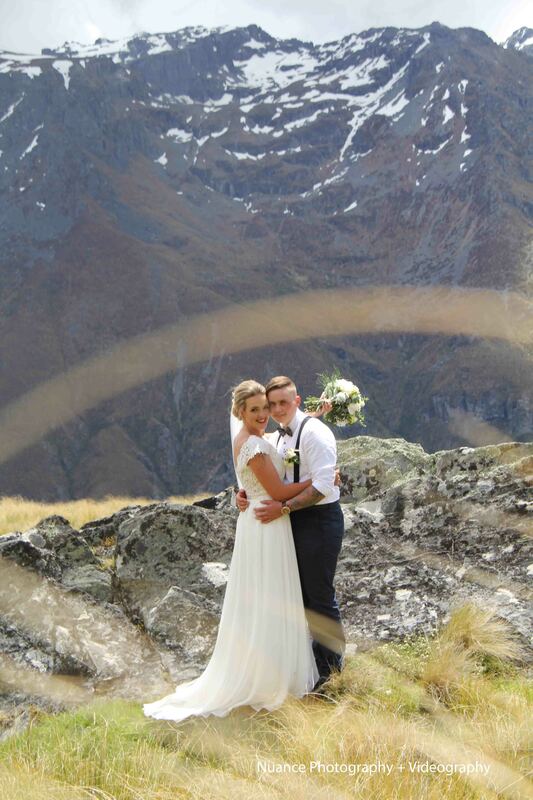 Cooper and Tori chose Queenstown for their amazing location. 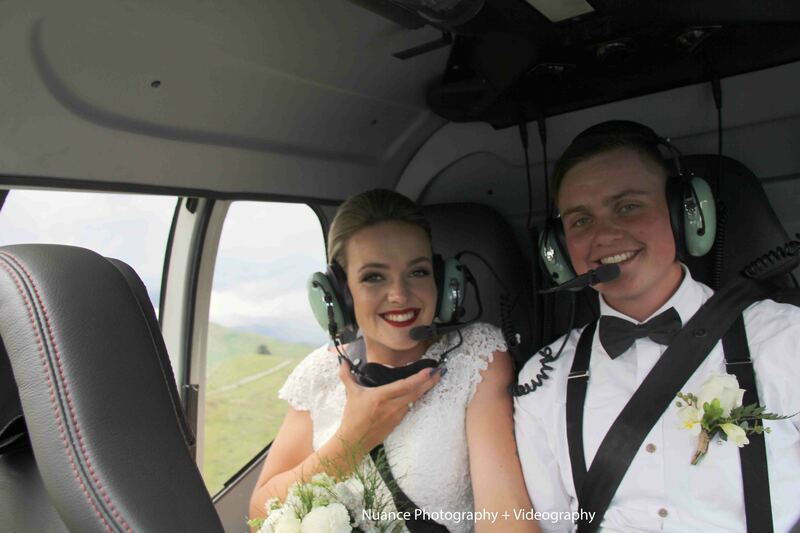 Never flown in a helicopter before, they both enjoyed the lovely views of Queenstown from above. 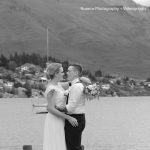 Joined by just a few select guests, we celebrated the ceremony on the shores on Lake Wakatipu and beat the incoming rain by minutes. 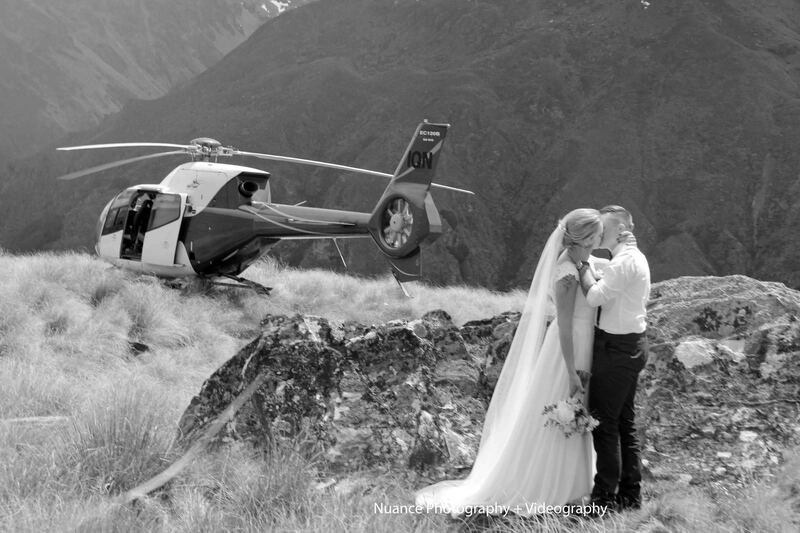 Another successful heli wedding mountain side. 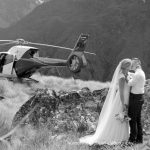 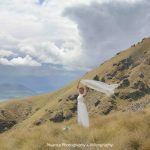 Why choose a heli wedding? 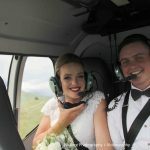 If you want a relaxed and no fuss type of elopement, then a beautiful heli wedding is just the option for you. 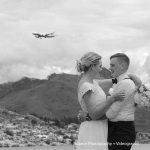 The best part is obviously the flight it self. 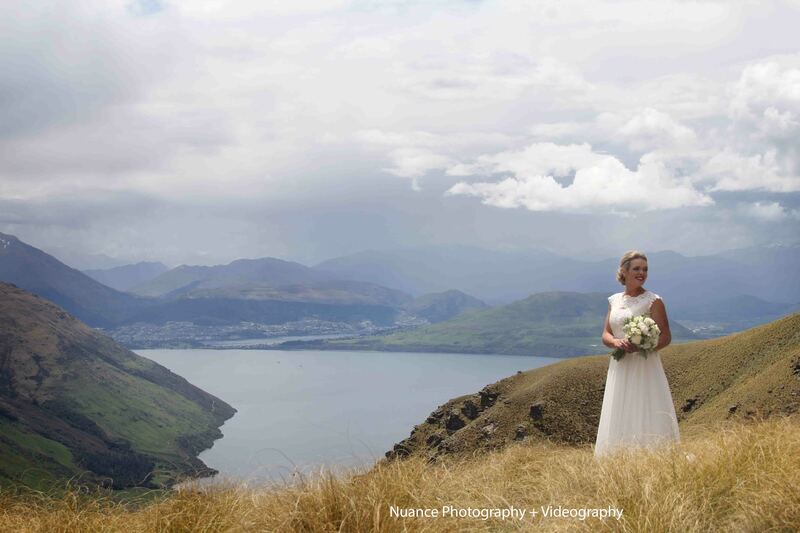 Fantastic panoramic views over Lake Wakatipu and Queenstown featuring snow capped mountains and deep blue lakes. 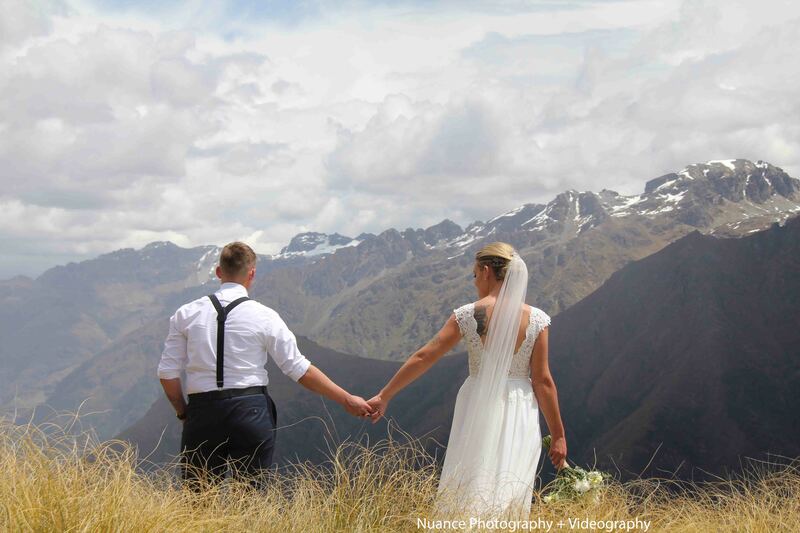 Sharing your intimate vows in a dreamy secluded part of the world is magical. 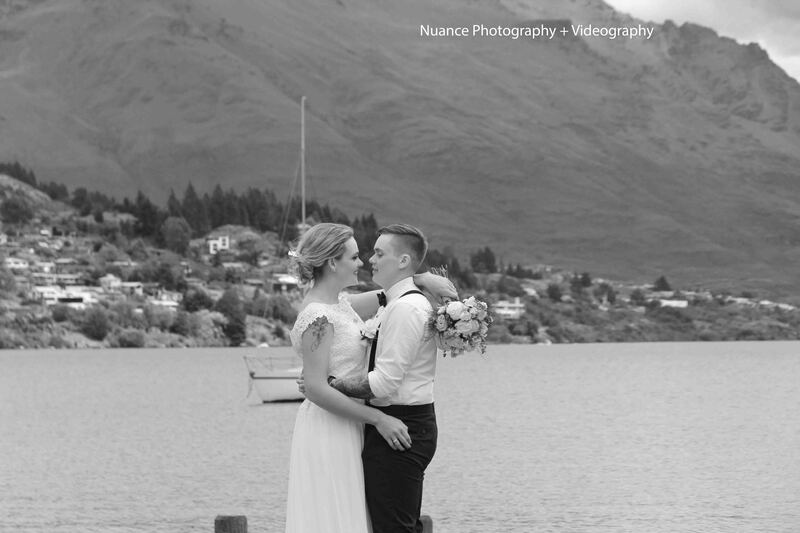 Very few couples get to do this. 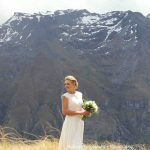 Also the financial savings are huge. 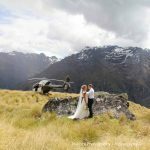 Because you have eloped in New Zealand, enjoyed as holiday at the same time, you save thousands of dollars on favours, food, drinks and venue hire. 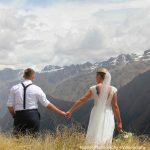 It really is the most intimate and romantic way of getting married, not to mention inexpensive. 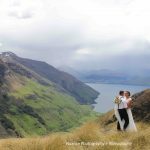 Sure not having hundreds of guests at our wedding for some is sad, but the bright side is you get to show off and share your bragging rights. 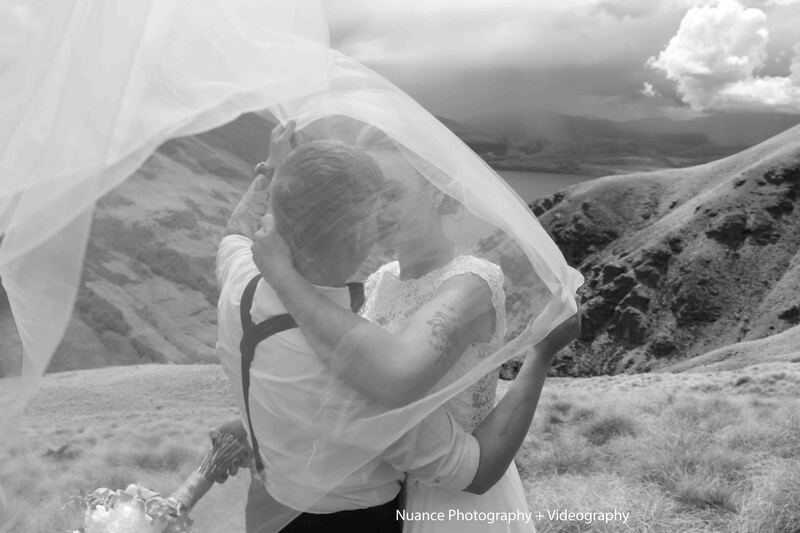 Magical wedding photos and video highlights that will tear up even the most hardened. 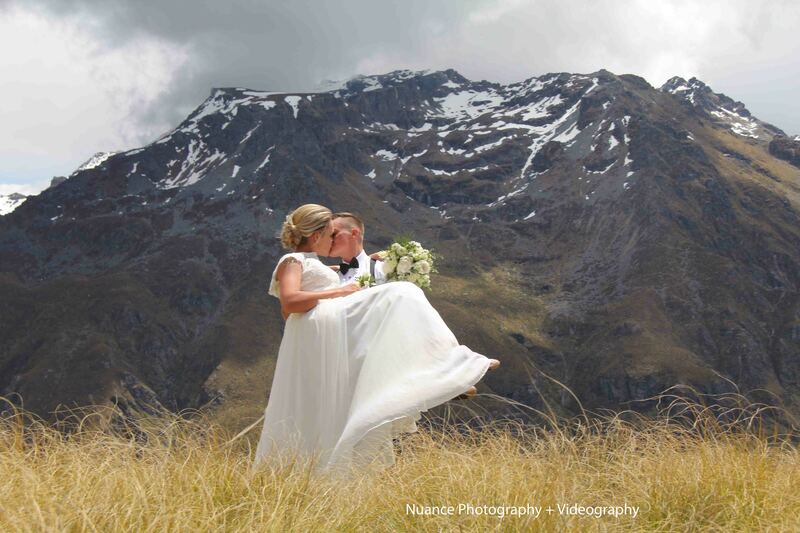 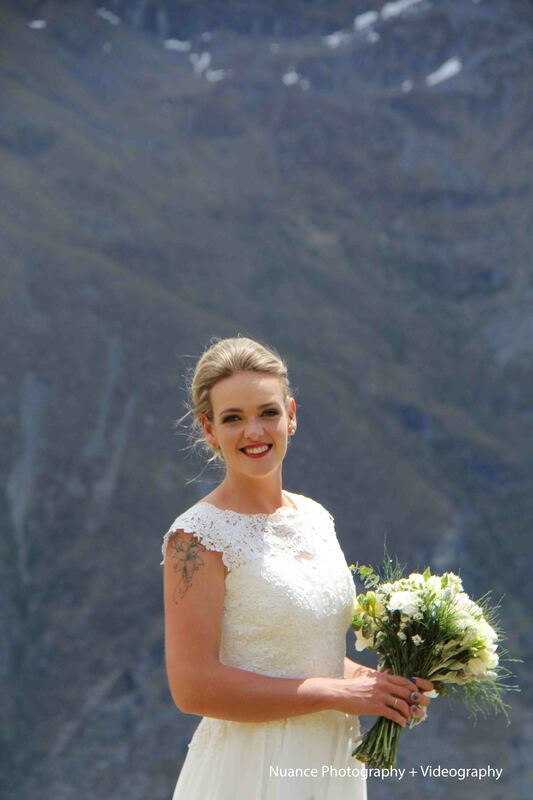 For more information on Queenstown heli weddings reach out to us now. 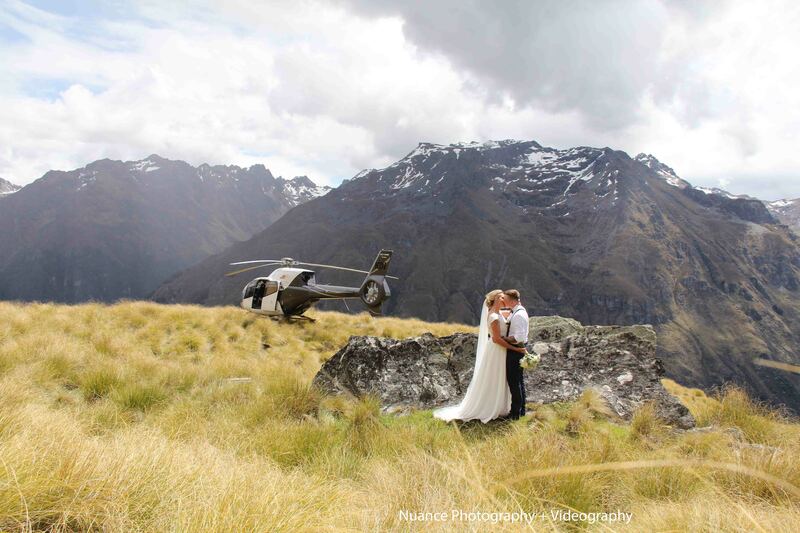 We can also arrange heli weddings in Wanaka, Tekapo and Mount Cook.